Under the special initiative of the Federal German Ministry for Economic Cooperation and Development (BMZ), called ‘One World – No Hunger,’ Green Innovation Centers are being established in 13 countries, including Benin, to promote innovation in the agricultural and food sectors in order to combat rural poverty and hunger. 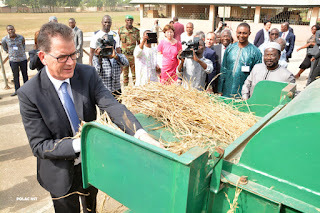 As part of this initiative, His Excellency Dr Gerd Müller, Federal German Minister for Economic Cooperation and Development, inaugurated the Green Innovation Center on 3 January 2016 at AfricaRice research station in Cotonou, Benin, to boost agricultural productivity, increase the incomes of smallholder farmers and processors and create job opportunities, particularly for youth and women, in the country. In Benin, improvement of the rice sector along the value chain will be one of the major thrusts of this effort. 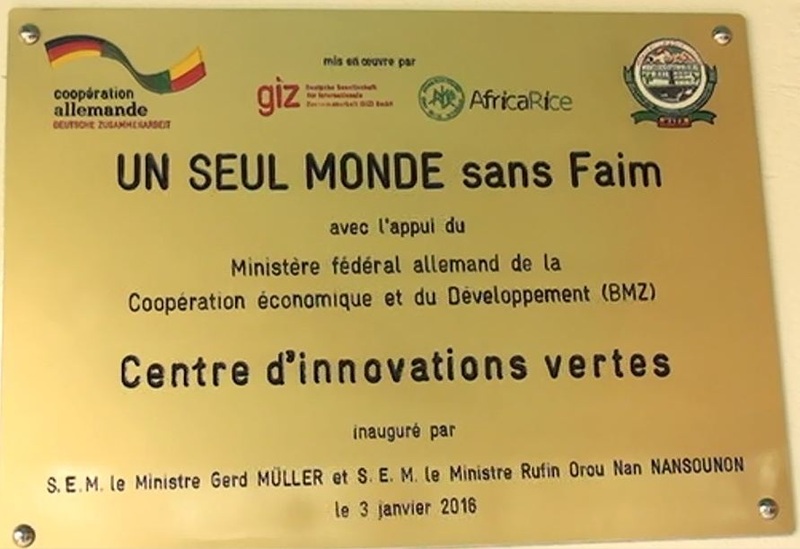 In addition to BMZ, the partners include Deutsche Gesellschaft für Internationale Zusammenarbeit GmbH (GIZ), Benin Ministry of Agriculture, Livestock and Fisheries, and AfricaRice. “You need more than just water and fertilizer for agriculture. You also need knowledge and innovation," said Minister Müller during the inauguration of the Innovation Center. He announced that Benin would receive 20 million euros to support innovation in agriculture. “We strongly believe that the use of innovative technologies, appropriate methods, training and research can help attain food self-sufficiency in Africa,” the Minister remarked, giving the example of AfricaRice, which has developed a range of proven technologies that are helping smallholder farmers across the continent to sustainably increase rice productivity and build resilience. 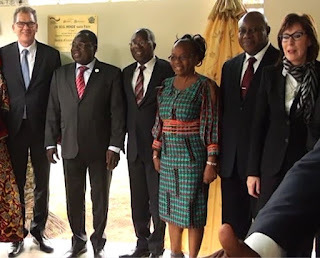 He described the effort to eradicate hunger and reduce rural poverty as a prestigious mission and hoped that the Innovation Center would become a model not only for Benin but also for the other African countries. It will serve as an interface between the research and development communities to scale up adoption of technological innovation through learning and experience. 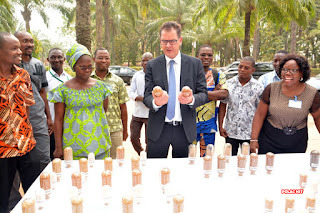 On behalf of the AfricaRice Council of Ministers, the Board of Trustees and staff, Dr Roy-Macauley expressed his deep appreciation to the Minister and the Federal Government of Germany for their confidence and for the strong financial and technical support to the research and development activities carried out by the Center over the years. 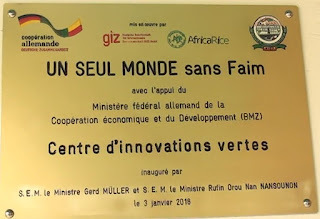 The Minister and his delegation saw the demonstration of technologies and approaches developed by AfricaRice and its partners that would be disseminated through the Green Innovation Center in Benin. These include improved rice varieties, the RiceAdvice – a decision support tool – and a range of small-scale machines for rice farming and processing. The delegation included representatives from the Federal German government, Benin authorities and partner organizations.